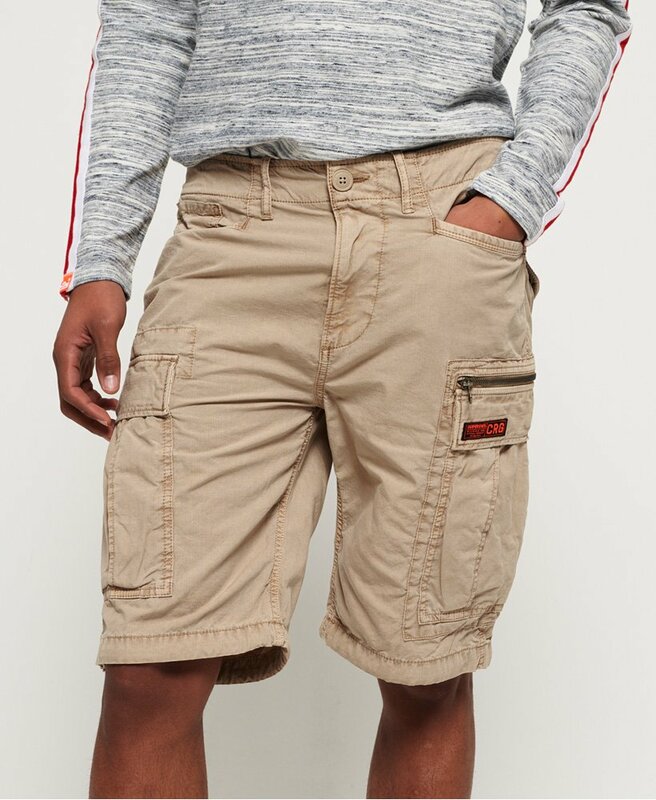 Superdry men's Parachute cargo shorts. This is the perfect choice for a fresh and current wardrobe, featuring a seven pocket design, a main zip and button fastening and a variety of military inspired badges. Finished with a Superdry logo badge on the back and one on a front pocket.